The time is here – Off Grid will be offering a freeze-dried backcountry dinner line!!! We are going to do a series of quarterly pre-sales for our line of backcountry meals. The “menu” will rotate each quarter for the next year, and we’ll send out surveys to identify the best meals after each pre-sale, with the goal to continue a quarterly rotating menu, and also create a small full-time menu of favorites over for next summer. Our first four pre-sales will be sold in 4-meal “packs”, containing four different meal options. All the meals are made in our high end catering kitchen, in small batches, so we can ensure the highest quality. From the ingredients to the process, we hope you enjoy everything about these fine backcountry meals, and that they elevate your backcountry experience. How it’s going down: Our first pre-sale will launch May 20th, and will run until we sell out or July 5th. We’ll have a limited amount of 4-meal packs available with a August 1st (or earlier) ship date. These meals have been a long time coming, and we hope you enjoy them as much as we do. We’ve strived to truly create a truly one-of-a-kind backcountry menu that is created in a restaurant style kitchen, with the highest quality ingredients and skilled cooks to produce a superior product. As always your support is greatly appreciated and we look forward to an exciting 2018! 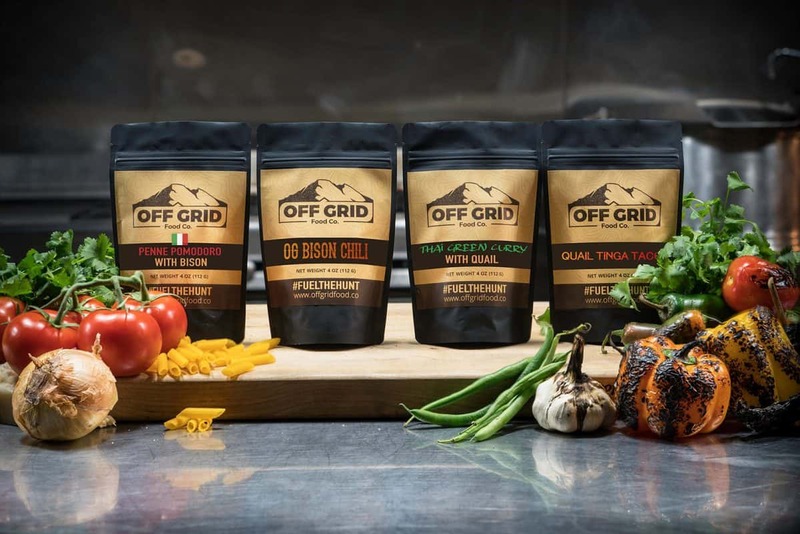 This entry was posted in freeze dried meals, Off Grid News, Uncategorized and tagged backcountry, Backcountry foods, freeze dried meals, Freeze-dried, Hand-Crafted, Hunting, Meals, mountain hunting, Off Grid Food Company, OffGridNews, Small-Batch, Spring 2018. Learned about you watching Born and Raised Outdoors, Land of the Free (Episode 28 Birthday Bull) on YouTube! Looking forward to trying the products in the upcoming backcountry season!